We’re back with Part 2 of our Competitive Fortnite series, and ready to share more information about what’s coming, and our vision for 2019 and beyond. The vision for competition in Fortnite is to make competitive play broadly available to everyone. This includes more game modes, playstyles and formats in structured competition. This broadens the scope and definition of competitive Fortnite while also celebrating exceptional talent and a variety of gameplay skills across all of Fortnite’s game modes. Our in-game tournament system allows us to bring prized competition to a large group of players, and we’re eager to include more regions of the world. Winter Royale was operated through the in-game tournament system and featured more than 9,200,000 players across North America and Europe competing during the two-day qualifiers. We just recently introduced parts of our new tournament backend system that will enable new features in the near future such as in-game leaderboards, tournaments that take place across multiple knockout rounds, and more varied events to keep the play experience fresh and fun. As part of our system upgrades, earning a pin or achieving a high placement during a qualification round can now advance you further in that tournament – or even unlock a new, private tournament which is only available to players who successfully managed to earn a pin. We’ll be experimenting with a variety of approaches and tournament structures utilizing these tools over the coming months to see which types of events provide the most fun and exciting experiences for players of all skill levels. Throughout 2019, we plan to support a number of high quality, third-party tournament organizers. So far this year, we’ve partnered with the Australian Open, ESL in Katowice, ggCircuit and a few local event organizers. As we improve and polish our public tools, we look forward to working with more partners on all kinds of events. We hope that by empowering event organizers to host meaningful competitions throughout the year, we can provide more opportunities for Fortnite players to compete around the world. Our core feature set for 2019’s major events are in place. We now have the ability to broadcast from physical and online events, and our spectator client has in-match scoreboard screens and a variety of map views on which we will continue to iterate. A priority during the early part of this year will be integrating the spectator client with the new online tournament system. 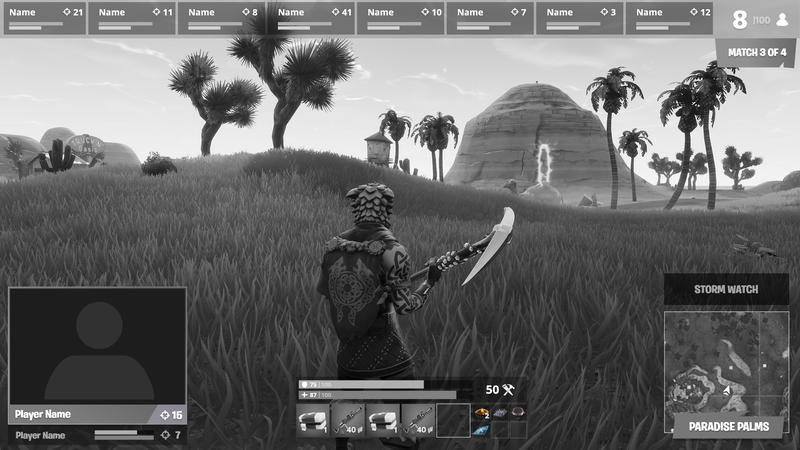 We believe it’s important to have tools that help highlight the stories of standout players on their journey to the Fortnite World Cup. We’ll continue to improve our broadcast HUD, and new capabilities with our stats and analytics tools will help us tell a player’s story across multiple matches and tournaments. 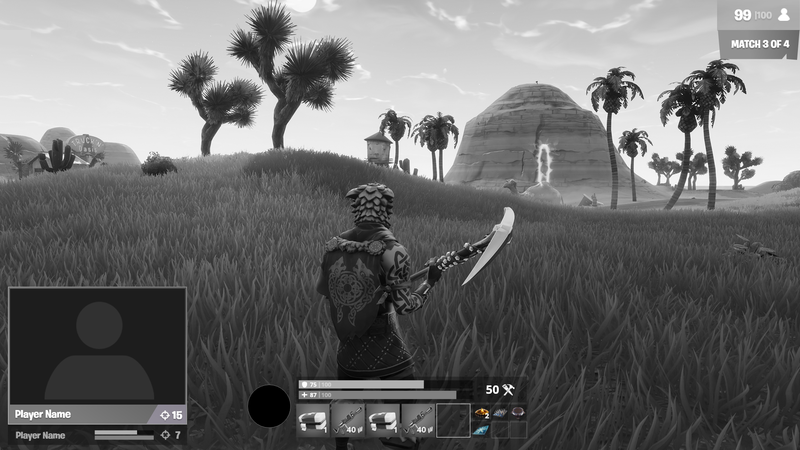 On the broadcast HUD, we’re taking a look at what information is most important and how to best present that information for the many ways in which viewers watch competitive Fortnite. Our zero-tolerance cheating policy remains in effect, and any player that is determined to be cheating will be removed and permanently banned from Fortnite. Before the Fortnite World Cup begins, we’re working to implement new features that will add additional layers of security to our tournament system. We have introduced new requirements behind the scenes for entry into our competitions, and are investigating additional requirements that will raise the bar in keeping prior cheaters out of the competition. We also have recently made significant improvements to our in-game reporting feature, which will allow our monitoring team to quickly investigate and action cheaters. As previously mentioned, leaderboard capability is fast approaching and will be accessible for in-game tournaments. There will also be match summaries that display your placement performance compared to your elimination performance for any given tournament. Using stats to help inform you about your progress in competitive play can be a great tool to better your in-game performance, and we want to continue surfacing vital information. For broadcast, accurate and timely stats directly impact our ability to deliver an enjoyable viewing experience for official competitions. Throughout much of last year we were not satisfied with how quickly we were able to relay vital information like overall standings or a competitor’s game-by-game performance. Right now we’re trying to cut down the time needed to update broadcast graphics by improving the time it takes for real-time stats to deliver information to our broadcast team. We are also expanding on the types of stats we’re tracking to help casters stay more informed and provide a better storytelling narrative throughout competitions. Casters will eventually be able to use real-time scoring so that they always know where a player stands in a competition. The in-game tournament system is an evolution of the traditional ranked system, striving to enhance the best elements of ranked play. Focused windows of competition allow us to better celebrate the performances of competitors, promote community activity around the events, and create the highest quality matches possible at all skill levels. We’ll be exploring rotating or staggered tournament schedules in the future to include more players. YOU CAN EXPECT MORE DETAILS ON COMPETITIVE FORTNITE AND THE FORTNITE WORLD CUP IN THE COMING WEEKS! ➡ Click here to view more Competitive Fortnite News!